Memphis is the second largest city in Tennessee and home to a population of more than 1.3 million people in is greater area. The city is known for Graceland, music, barbecue, and civil rights history. But its riverfront amenities, Beale Street, natural aquifers, entertainment, and excellent cost of living are what make Memphis a truly special place to live. Memphis offers a diverse economy, with an ideal location for transportation and shipping that makes distribution a particularly strong industry for the city. The city has five major freight railroads, two interstate highways (and a third under construction), and access by water with the Mississippi river. It is home to Memphis International Airport (a major cargo airport) and is a primary hub for FedEx Express shipping. Fortune 500 companies including International Paper, AutoZone, and FedEx have a presence in the city, as well as other major corporations including ServiceMaster, American Residential Services, Cargill Cotton, and Varsity Brands. Although the unemployment average in Memphis is slightly higher than the national average, Memphis has a low cost of living for an urban area. Music is a major attraction for Memphis, serving as the birthplace of many American music genres including Memphis soul and Memphis blues. Beale Street is a popular music destination, as is the Sam Phillips Sun Studio, where artists including Johnny Cash, Elvis, Roy Orbison, Jerry Lee Lewis, and Carl Perkins completed their first recordings. Other cultural attractions in Memphis include events such as the Beale Street Music Festival, The World Championship Barbecue Cooking Contest, and the Great River Run. Memphis is home to the Brooks Museum and Dixon Gallery and Gardens, as well as the South Main Arts District with outdoor festival nights. Memphis has more than 9,145 acres of park land, with parks making up 5 percent of the city’s area. The largest municipal park is Martin Luther King, Jr. Park, which is 375 acres. The oldest municipal park is Columbus Park, established in 1819. The most popular municipal park is Overton Park. There are three basketball hoops per 10,000 residents, 1.8 playgrounds per 10,000 residents, and one recreation or senior center per 20,000 residents. Overton Park offers a golf course, playgrounds, forest natural area, and Rainbow Lake. It’s also home to the Memphis Brooks Museum of Art, the Memphis Zoo, and Levitt Shell. Shelby Farms Park, another popular park in the area, offers a variety of different experiences, featuring a buffalo herd, riding and hiking trails, horseback riding, lakes with fishing, boats, zip lines, and an off leash dog park. Residents of Memphis benefit from a low cost of living, particularly for an urban center. Memphis offers a cost of living that’s 14.3 percent lower than the national average. A home costs $180,375 in Memphis on average, so housing prices are an attraction for residents of the city. A major U.S. city, Memphis has earned national recognition as one of the best cities to live. Memphis has been named one of America’s manliest cities, the best medium metro areas for teleworking, the happiest places to work, the best city for black owned businesses, and one of the 10 best cities to launch a startup. The median sales price and number of sales are rising in Memphis, indicating a healthy real estate market. Home sales remain steady at the end of the year as agents see homes continue to sell and buyers continue to look for new homes. Memphis is one of the most popular cities to flip houses. In fact, Memphis ranks #1 nationally in the percentage of homes flipped at 11.67 percent. Flippers in Memphis see an average gross profit of nearly $63,000. A qualified, experienced real estate is essential for success in the Memphis real estate market. A good agent can help you find the right home to meet your wants and needs, or help you sell your home for the best price in the shortest amount of time. They have the knowledge necessary to inform you of the market, connect you with resources, and negotiate in your favor. Our list features the 15 best real estate agents serving Memphis and the surround area. With these agents, you can benefit from trusted experience, reputation, and excellent real estate resources. You can trust them to deliver the results you need as you make major decisions in real estate. As each of the real estate agents on our list offers excellent service and reputation, they are listed in no particular order. However, we’d like to know what you think. Please vote in our poll at the end of this article to let us know which of the leading real estate agents in Memphis you think is the very best. Just don’t wait to vote, as the poll closes in 30 days! 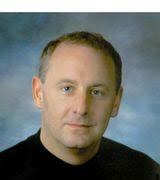 Danny Freeman is a real estate professional with 32 years of experience. He is a lifetime Memphian and lends his expertise to Crye Leike Realtors in Bartlett as the leader of the Freeman Home Team. Freeman specializes as a buyer’s agent and listing agent with interests in relocations and consulting. With the Freeman Home Team, he is able to offer a team of professionals to make sure each transaction is a smooth one. Freeman loves the Memphis area, its seasons, and growth. Freeman has a number of real estate credentials, including Certified Residential Specialist, membership in the Memphis Area Association of Realtors Multi Million Dollar Club, and membership in the National Association of Realtors. He is one of the top relocation agents in America and is trusted to take care of his clients whether they are moving to or from the Memphis area. Clients say Freeman is extremely professional. They appreciate his tireless commitment to taking care of their needs. They note he maintains frequent communication and is able to expertly negotiate in their best interests. 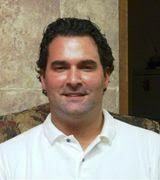 Jon Dickens is an affiliate broker with Marx-Bensdorf Realtors in Memphis. A native of Memphis, he has lived all over the city and has more than 12 years of experience in real estate, so he has an excellent knowledge and appreciation of the Memphis. 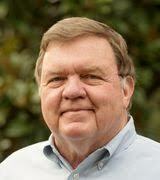 Dickens is a member of the Memphis Area Association of Realtors and has served on the Governing Documents Committee. He has been honored as a member and a director of the Multi Million Dollar Club. With Marx-Bensdorf Realtors, Dickens takes a team approach to representing clients, so he is effectively able to support clients every step of the way with the latest tools and technology. He considers it an honor and a privilege to support his clients as they buy or sell homes in the Memphis area. Clients say Dickens serves them as if he were buying or selling his own house, working hard to get them the best deal possible, often going above and beyond the call of duty. They find him to be efficient, approachable, knowledgeable, and honest, and appreciate that he is willing to tell you what you need to hear instead of what you might want to hear. Their experience with him is a breeze and they are pleased with the results they’ve gotten from him. 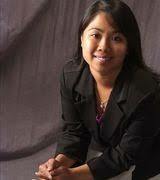 Jeanette Lin is a real estate agent with the Lin Real Estate Team at Pinnacle Realty in Cordova. 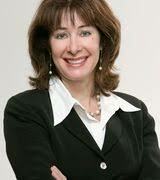 She specializes as a buyer’s agent and listing agent with interests in foreclosures and property management. Lin’s approach to real estate sales is built on personal touches, win-win deals, and positive results. She uses the latest technologies, market research, and business strategies to support her clients, offering thoughtful service with customized solutions for every client’s real estate situation. Clients say Lin is exceptional, making the entire process easy for them. They’re impressed by her availability, efficiency, and ability to answer every question while staying on top of all of the details with excellent multi tasking skills. She is sharp, focused, and maintains a clear vision of what her clients need to succeed in real estate. Clients love her attitude, integrity, and world class work ethic. 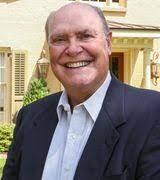 Bill Maury is the vice president of Coldwell Banker Collins-Maury in Memphis. He is a broker and has more than 33 years of experience in Memphis real estate. Maury specializes in Memphis, Germantown, Collierville, Lakeland, Arlington, and Fayette County, and particularly enjoys working with first time home buyers and experienced corporate transfers. He promises to make the experience of buying or selling a home positive for every client, offering old fashioned customer service, constant communication, and support with the latest technology. An experienced and knowledgeable, Maury holds real estate designations including Certified Residential Specialist and Graduate of the Realtor Institute. Maury’s clients say he is highly professional and truly cares about them, offering smooth, worry free real estate transactions with excellent service. He offers responsive communication, is proactive, and offers a high level of knowledge. He is able to offer excellent support even when there are bumps in the road. They find him a joy to work with and note he is able to efficiently meet and exceed their needs in real estate. 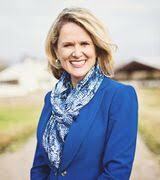 Lisa Harris is a Realtor with Crye-Leike Realtors in Germantown. She has more than 34 years of experience in real estate and specializes as a buyer’s agent and listing agent with interests in relocations, foreclosures, and property management. With commitment to her clients, Harris understands the challenges and excitement of the buying and selling process. She has bought and sold more than 1,500 homes in the Memphis market and has long been known as a top producer. Harris is highly committed to each of her clients, involving herself in every aspect of the transaction to make sure each client has a pleasant, successful experience. She uses the latest technology and the best tools available to efficiently help her clients reach their goals in real estate. Harris has built her reputation on professionalism, honesty, and building lifelong relationships with her clients. Clients say she is hard working, professional, and offers a positive attitude every step of the way as she goes above and beyond the call of duty. They feel fortunate to have her as their agent, offering her expertise and assistance every step of the way. They return to her for every real estate transaction to take advantage of her excellent service and results. 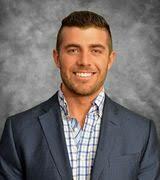 Eric Bell is an associate broker with Remax Real Estate Experts in Germantown. He is a buyer’s agent licensed in both Tennessee and Mississippi, and has interests in relocations, foreclosures, and consulting. As a home buying specialist, Bell supports his clients as they make important decisions and purchase a new home. Bell takes pride in being easy to work with, offering the latest information and immediate responses to requests. He is available around the clock to answer questions and resolve issues as soon as possible, ensuring a smooth, simple home buying process. Bell is committed to doing everything possible to help his clients maximize the value of purchasing real estate, and has a proven process for evaluating properties on past and future worth. He offers an immediate response guarantee, 24 hour showing guarantee (including holidays), and buyers satisfaction guarantee, and a buyer savings guarantee. Clients say he offers a smooth transaction, providing excellent professionalism, information, and an overall wonderful buying experience. He maintains constant contact and handles every detail. They appreciate that he is always able to take care of their needs and respond within half an hour with answers to any question. They’re blown away by his responsiveness and friendly service, and feel he works aggressively for them to negotiate for the best terms. Melissa Thompson is a real estate professional with Crye-Leike Realtors in Memphis. She has 30 years of experience in real estate, and averages selling one home every three days. She serves the areas of Memphis, Germantown, Collierville, Bartlett, Arlington, Cordova, Eads, and Lakeland. A consistent top producing agent, Thompson is a member of the Multi Million Dollar Club. She is known as an unstoppable and hard working agent with empathy for her clients, marketing savvy, and tough negotiation skills, offering outstanding results for every transaction. Thompson is committed to helping her clients find the best home in their area within their price range, and also sell their homes for as much as the market will bear as quickly as possible. An experienced real estate professional, Thompson has earned several awards and designations, including Lifetime Member and former president of the Multi Million Dollar Club, member of the Strategic Planning Committee of the Tennessee Association of Realtors, former director of the Memphis Area Association Board of Realtors and Tennessee Association of Realtors, Realtor Associate of the Year for Outstanding Contribution to the Real Estate Profession, and Accredited Buyer Representative, Certified Residential Specialist, Graduate Realtor Institute, and Seniors Real Estate Specialist. Clients say Thompson is an amazing Realtor, offering oustanding and efficient results. They feel she is supportive of their needs and desires, and enjoy the experience offered by Thompson and her team. Thompson offers a smooth, easy to complete process. They appreciate that she offers all of the information they need to make an informed decision, and helps keep them on schedule with timelines and taking care of every detail necessary to stay on track. 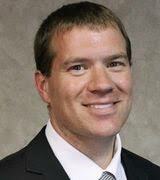 Joe Spake is a real estate agent and broker with InCity Realty in Memphis. He has more than 21 years of experience in real estate, and he works with buyers and sellers of residential property in downtown, midtown, and east Memphis. Spake specializes in historic properties, condominiums, and exclusive buyer representation. He particularly enjoys working with first time home buyers and maintains a large network of professionals to help his clients complete transactions. Spake is committed to offering the highest level of service to his clients, making the real estate purchase or sale process as hassle free as possible. Spake offers excellent service with real estate marketing as he integrates established real estate principles with social media and technology. Clients say Spake offers an excellent experience with responsiveness, patience, and knowledgeable service. They appreciate his honesty about properties, even when he is delivering bad news. Clients enjoy working with Spake every step of the way, as well as the excellent results he delivers them. 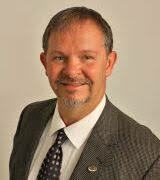 Donnie Morrow is a real estate agent with Keller Williams Realty in Memphis. A veteran of the U.S. Army, Morrow has spent his entire adult life dedicated to service for his country and his clients. He brings a background of leadership and service to real estate and is dedicated to delivering customer satisfaction with prompt, efficient, and trustworthy service. Morrow cares about his clients, and it’s important to him that he earns the trust of his clients as they make important real estate decisions. Morrow’s clients say he is knowledgeable, energetic, and service oriented, and offers excellent communication. They feel he is on their team and appreciate his education and service. He is meticulous, professional, and reduces their stress as he stays on top of every important detail. 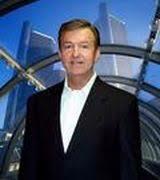 Larry Mayall is a broker with Realty One in Memphis. He has more than 22 years of experience in real estate, and now leads a team of agents. 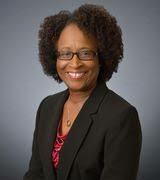 Mayall specializes as a buyer’s agent and listing agent with interests in foreclosures and property management. In addition to traditional home sales, Mayall works as a HUD broker and has listed and sold more than 12,000 HUD properties in the last 12 years. He is trusted to meet the intense deadlines and responsibilities required by HUD properties. Mayall is committed to exceeding the expectations of his clients with professionalism, and his first priority is always his clients. Clients say Mayall and his team offer excellent, courteous service. They say Mayall and his team are helpful and patient throughout the entire experience, and always available to answer questions and offer help. They appreciate the patient, knowledgeable, and thorough service that Mayall and his team deliver with every real estate transaction. 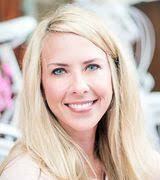 Karla Fayne is a real estate agent and consultant with Keller Williams Realty in Memphis. She has more than 14 years of experience, and has a background in mortgage loan processing. Fayne specializes in Memphis, Arlington, Bartlett, Cordova, and Collierville. With her expertise, Fayne is able to effectively support her clients as she helps them meet their needs and see their real estate dreams come true. It’s clear that she cares about her clients and puts their needs as her first priority, walking them through the process step by step with attention to detail. Fayne is highly knowledgeable in real estate sales and strategies, and is always available to help her clients. Nearly half of her business comes from referrals, a testament to her excellence as clients refer their family and friends to her service. Fayne’s clients say she is a pleasure to work with, offering expertise, professionalism, knowledge, and a genuine interest in supporting her clients. She offers focus and support during what can be a sometimes overwhelming and stressful process. They appreciate her diligence in preparation, hard work, and dedication, and they’re impressed by her expertise in pricing, negotiation, and delivering excellent results in real estate. Richard Travers is a Realtor with Crye-Leike in Memphis. He has more than 30 years of experience in real estate, particularly in the residential field. His experience includes new home construction and residential resale in locations including downtown and midtown Memphis, Collierville, Germantown, and other surrounding areas. Travers is noted as a high level producer in Memphis real estate, which is made possible by his commitment to personal service and a passion for real estate. Dedicated to putting his clients first, he always listens to their needs and desires, representing their best interests in the competitive Memphis real estate market. He particularly enjoys using his expertise, knowledge, and resources to help clients choose the right neighborhood, schools, and builder for their needs. An experienced and well respected Realtor, Travers is a member of the National Association of Realtors, the Memphis Area Association of Realtors, the MAAR Multi Million Dollar Club, the Crye-Leike Multi Million Dollar Club, and is consistently among the top 1 percent of Memphis Realtors. Clients say they enjoy working with him and find him to be friendly and professional. They appreciate his responsiveness, knowledge of the market, and honesty. They feel he takes ownership of their needs and are happy with the level of service they receive from Travers and his team. 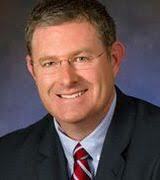 John Quinn is the owner of RE/MAX Real Estate Experts in Germantown. He has more than 26 years of experience in residential real estate and specializes as a buyer’s agent and listing agent with an interest in relocations and short sales. Quinn is a leader in Tennessee real estate and has been consistently ranked among the top agents in Memphis and the entire state. He is in the RE/MAX Hall of Fame and has earned a RE/MAX Lifetime Achievement Award. Quinn makes his client service a priority, focusing on hard work and customer satisfaction for all he serves. Confident in his ability to deliver excellent results, Quinn and his team offer Buyers Satisfaction Guarantee and Guaranteed Sale Program. Clients say Quinn and his team offer a smooth transaction with professionalism and excellent communication. They say they feel thankful to have found Quinn and his team, and appreciate their attentiveness and ability to quickly answer questions. With efficient, effective service, clients feel satisfied by the outstanding results Quinn and his team have to offer. Jennifer Carstensen is a Realtor and leader of the Live Love Memphis Group at RE/MAX Real Estate Experts in Germantown. She is a buyer’s agent and listing agent with interests in relocations, short sales, and property management. In the last five years, Carstensen has sold more than $130 million in real estate, with an average market time of about 43 days. Carstensen and her team value customer service and work tirelessly to help clients meet their goals, offering attentive service and a commitment to hard work. With specialized team members offering service every step of the way, clients can feel confident they are always working with an expert who is focused on their specific needs. Clients say Carstensen and her team offer superior service with professionalism, care, and experience. They say she provides them with dedication, patience, and clear expertise. 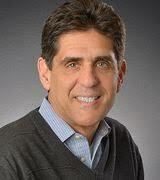 Marc Scheinberg is a real estate agent with Keller Williams Realty in Memphis. He is a lifelong resident of Memphis and has more than 22 years of experience in real estate. He specializes as a buyer’s agent and listing agent with interests in relocations and foreclosures. Scheinberg serves the areas of Arlington, Bartlett, Cordova, Germantown, Lakeland, and Memphis, supporting clients as they complete transactions in new and resale residential real estate. Clients say he does an incredible job representing them, offering excellent information and communication. They appreciate his knowledge, ability to explain every detail, and willingness to tell them what they need to hear, even when it’s not what they want to hear. They say he is always friendly, easy to work with, and offers the results they’re looking for.